Understand the next link in the fuel supply chain -- the rack market. How spot prices impact rack prices -- we'll walk you through a detailed example of how this works in practice. Why it's critical to know which fuel specs are required in your market. What factors suppliers consider when pricing fuel. 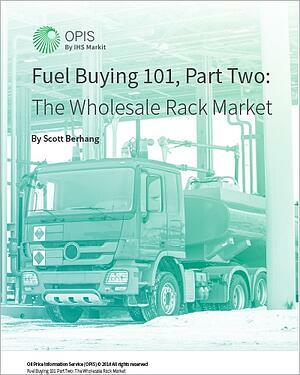 Haven't read Part One of the Fuel Buying 101 series? No worries! Go here to download Fuel Buying 101: Futures and Spot Markets.